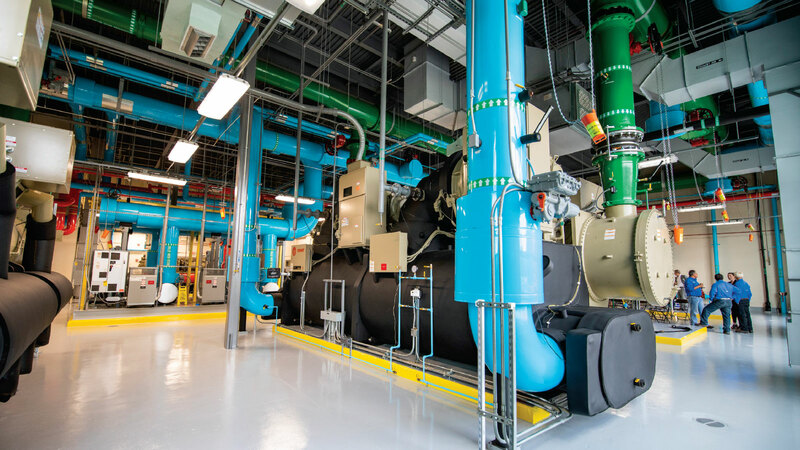 Designed with purpose, UCF’s newest District Energy Plant debuted its color-coded piping system in May to help teach engineering students how to build a cleaner world. 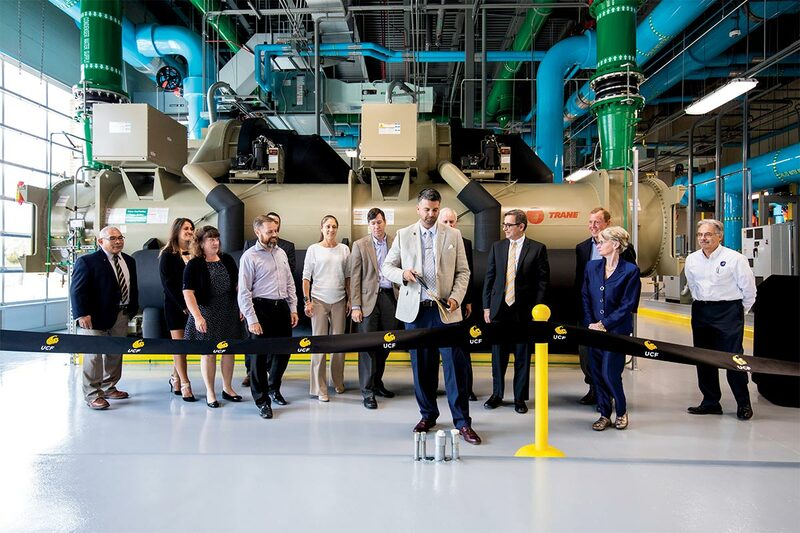 Located near the Arboretum, the new UCF energy plant, DEP IV, joined three other energy plants in providing chilled water for air conditioning and cooling processes to 64 buildings on campus. The new facility is the first to also produce hot water, which is used for heating, air conditioning and ventilation processes in the Research I building. By using energy-efficient materials and processes, the plant helps to reduce the university’s impact on climate change. The opening of DEP IV marks another milestone in UCF’s commitment to sustainability and energy-efficiency on campus. Energy DEP IV uses on a daily basis. The average homeowner uses 30 kilowatt hours per day. 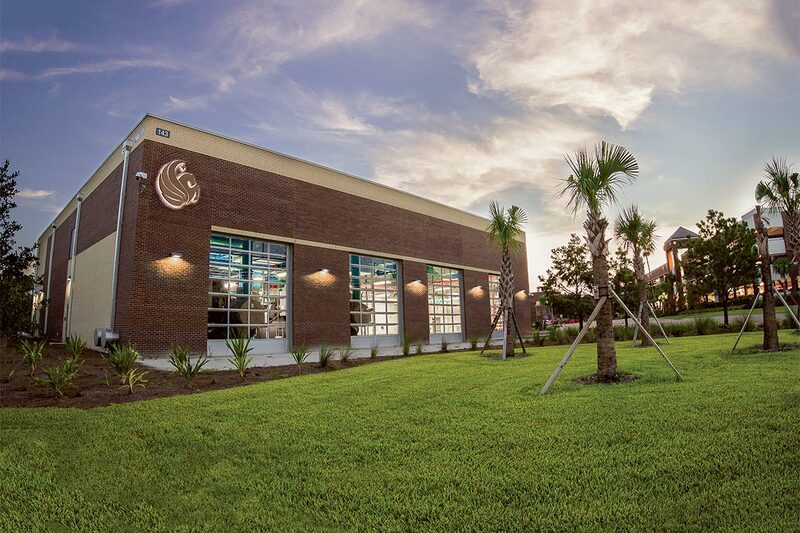 Chilled water generated daily by UCF’s four energy plants at full capacity. Without this system, each building would need its own air-conditioning units. DEP IV was designed with specialty windows to ensure chillers can be moved and out the facility easily for future maintenance requirements.